We are delighted to have been featured in GovTech. 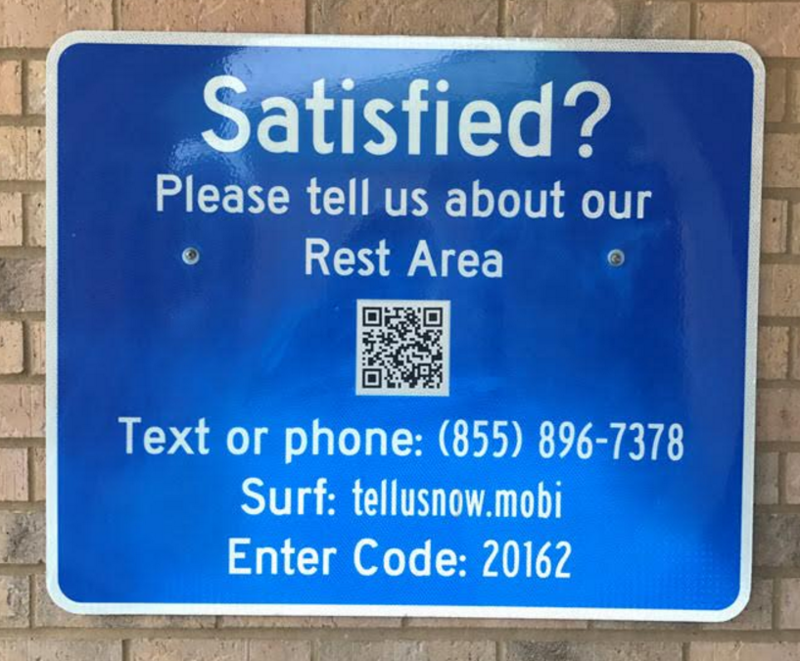 Specifically describing how Opiniator is being used at the rest areas in Florida for the Department of Transportation (DOT). The goal is to enable visitors to give their thoughts and ratings about the facility. In particular, Opiniator replaced their old comment card program so now the rest area operators and (DOT) managers can see feedback and analysis This means they can react in real time and act on that data through our alert system. We have listed before why we think comment cards are not effective. And so now the rest areas get fixed quickly, maintenance costs are reduced, and the facilities are safer. The driver is notified to give feedback via signage located in each rest area. Signage around the grounds and in the buildings invite the rest area visitor to deliver feedback. Feedback is via a short survey but always about their experience at the location. They do this via their own cell phone using SMS, a phone call, scanning a QR code or going to a specific website. Each rest area location has its own code, so the analysis can be site specific. Moreover, as each of the locations is managed by a different operating company with separate personnel, the analysis and alert messages are bespoke to them. The actions they take to correct any issue is logged within Opiniator, so the DoT can verify progress on all fixes to make sure the customer feedback process has been closed. Florida also links this data to a performance-based contract with each operator. This encourages the operator to manage any negative feedback much more thoroughly. Opiniator has now been deployed in over 400 rest areas and across 11 states. A product sheet on rest area and facility feedback is here. The most recent rollout is to the DOT in Wisconsin and is featured in a recent news post – here.